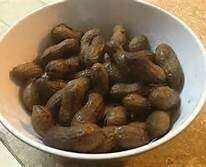 These peanuts will change you... And the world. 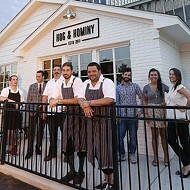 Okay, that headline was completely false and misleading, but last week Hog & Hominy was named among the "5 Best New Restaurants in the South" by Southern Living. This is the latest list, and perhaps even the last list that the year-old restaurant can possibly be placed on. H&H was named one of GQ's Most Outstanding Restaurants; chefs Andrew Ticer and Michael Hudman were among Food & Wine's Best New Chefs; and its staff was listed as the number one Plaid-wearingest staff in America by American Plaidwearers Magazine. Okay, maybe the last bit isn't true either, but the Southern Living honor cements Hog & Hominy as the most important restaurant in Memphis, if not the world, and it won't be long before food nerds start writing fan fiction, while Poutine, and other delicious H&H menu items begin to emerge as popular baby names. Write it down.